Jose Arredondo from San Pedro de Macoris, Dominican Republic was signing autographs at a Dairy Queen at Murrieta. This is his first year in the Major Leagues. He has been impressive for the Angels. If Frankie Rodriguez leaves via free-agency this winter, the Angels might have their future closer in Arredondo. Check out his stats coming out of the Bullpen: 4 wins 0 Losses, 1.03 e.r.a. and 30 K’s in 35 Innings. 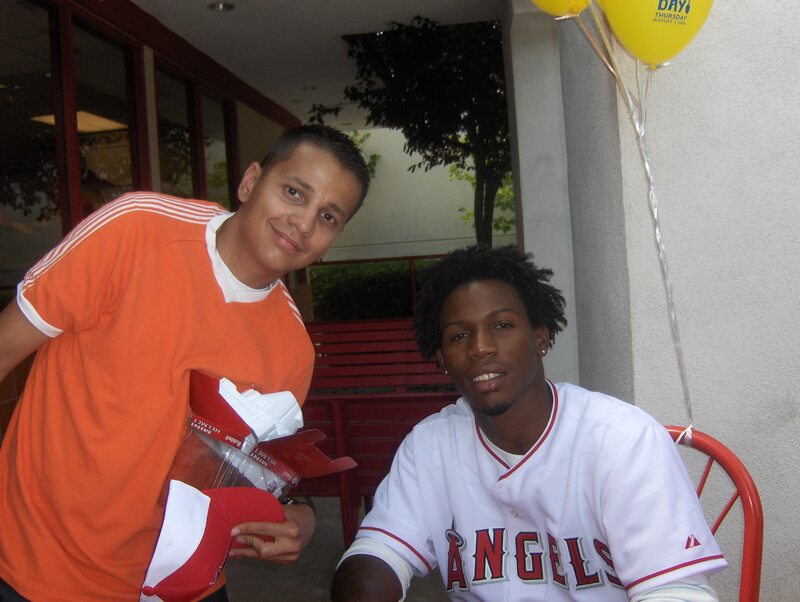 About the autograph, I got him to sign my Angels team mini-helmet. I was the 3rd person in line. He was scheduled to sign at 11:30 am. I showed up around 8:30 am. It was a good decision because when I left, lots of fans showed up. Jose was cool. I talked to him in spanish and he seemed surprised. Let’s just say I think I was the only Hispanic there. He talked to me like if he knew me and said “Hola, como esta la familia?” (how is the family doing?) Nice dude. First of all, as you know, the Chicago White Sox will be playing a 3 game series at Dodger Stadium. They were just swept by the Chicago Cubs over the weekend. Those were exciting games. More exciting is to know that the managers of those respective teams can rap. Yeah, Ozzie and Lou rap. Who acts more “gangsta” ? would allow the Seattle Mariners to talk to Dodgers VP/Assistant GM Kim Ng. Seattle is looking for a GM since recently they fired their GM Bill Bavasi. 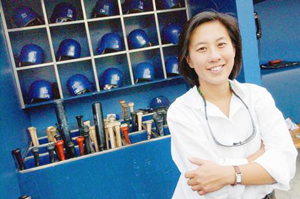 If Kim ever does get a job with any club as a gm, she would be the first female gm in baseball. I’m sure, she would do a better job than Colleti…. Writing about L.A. Times, there is another article written by Chris Dufresne. It’s terrible. It made me sick. He can complain about the Dodgers all he wants. 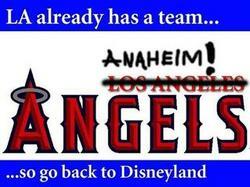 But to compare this franchise to the Angels ? Wow. 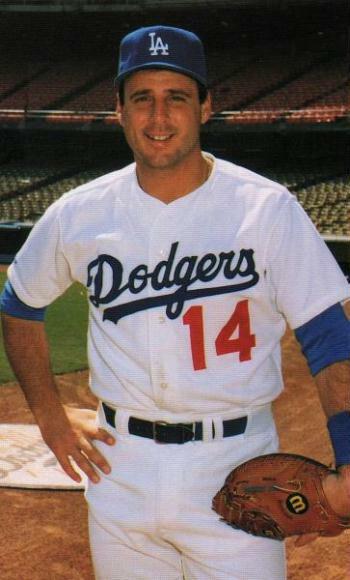 He wrote stuff like “Steve Garvey’s forearms leading the charge, always seemed a little too good to be true. 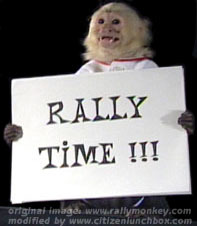 The field was too perfect, the grass too green, the home uniforms too white, the portly manager a little bit too over the top” Well I’m sorry we don’t have a dumb rally-monkey! So has anyone ever had a Tommy Lasorda Wine ? 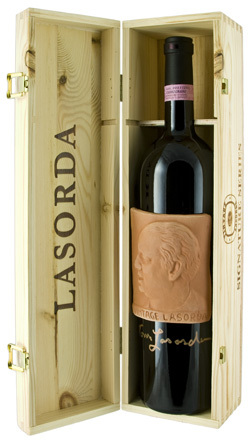 If you want to blow 500 bucks down the drain, you can purchase a limited edition Lasorda Wine. Buy it here. Apparently, it has won several awards for it’s great taste. He quotes on his blog “Over the weekend I went to the Pamona Fairplex to receive a most prestigious award. Actually, my Pinot Grigio received the award, as it received a gold medal and was named Best Wine, Best in Class at the 2008 Los Angeles International Wine & Spirits Competition’s inaugural Wine World of Sports, which pitted sports celebrities’ vintages against each other. My Chianti and Montepulciano, d’Abruzzo were also in the top ten, which makes me so happy because I would never get involved with a wine that wouldn’t please the people who drink it. “It’s especially satisfying because all the wine comes from Italy, which means it’s the best in the world. Nobody makes better wine than the Italians!” Hey Tommy, it’s not Pamona, it’s Pomona ! Also, don’t get drunk in public or else this might happen to you….Later! Peace! 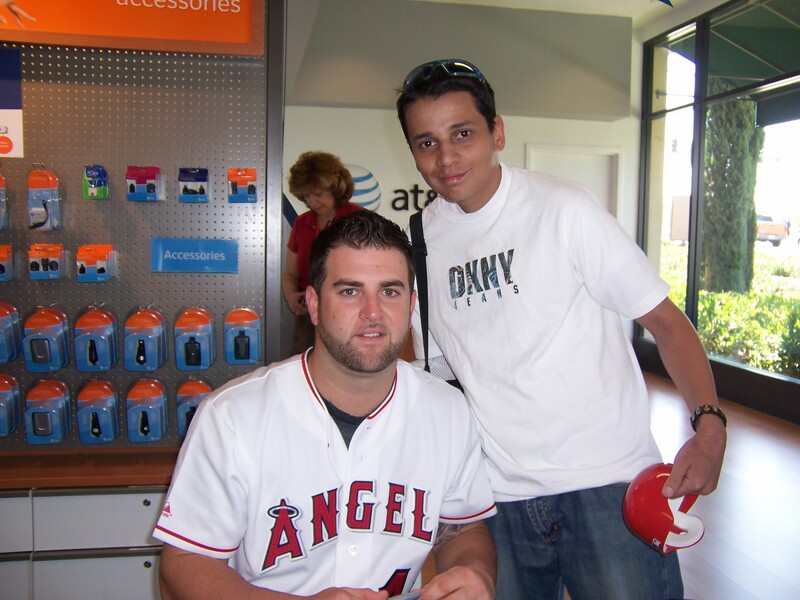 Last Saturday, I met Mike Napoli, the Anaheim Angels catcher. He was signing at a At&t store. I got him to sign a Angels Mini Helmet. Jered Weaver and Howie Kendrick were already signed on the helmet so it was cool in getting the Catcher. As of today, he has hit 10 Home Runs. But his average is low at .214 I wish him luck. 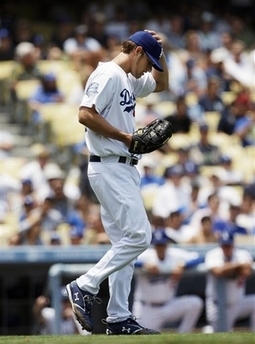 Of course, except when playing against the Dodgers.